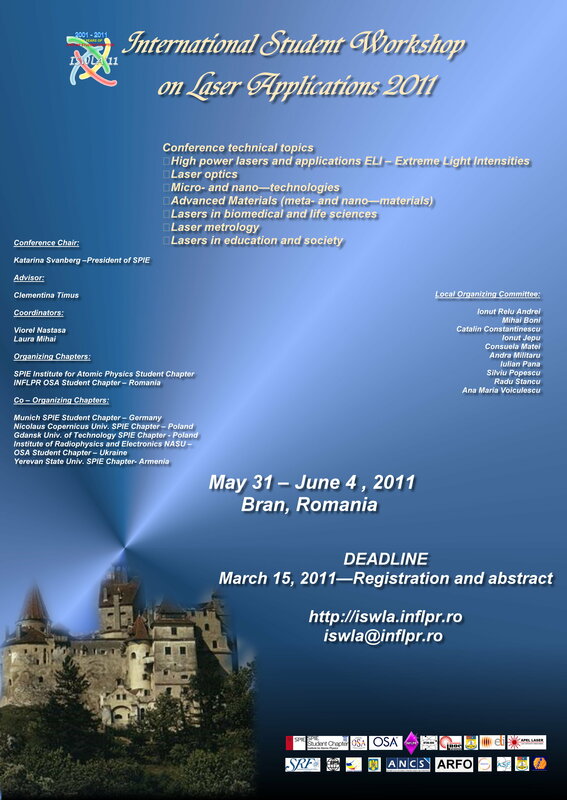 The Conference is hosted at Vila Bran (Bran, Brasov). . Direct flights are available from the most important cities of Europe to Bucharest-International Airports ( Henri Cuanda and Baneasa) or International Airport from Sibiu. Do not hesitate to contact us for any information and assitance. The best way to get to Bran from Bucharest is via Brasov. See how to get from Bucharest to Brasov here. After you arrive to Brasov you can take a bus to Bran. The bus for Bran leaves from the Autogara II (the second bus station) about every half hour for the whole day. You have to buy the ticket on board and it costs ~4.00 RON each way. You can arrive to the Autogara II from the center, you can take the bus 12 from Teatrul Dramatic, or from the Autogara I (the bus station in front of the train station) by bus dashed 23 (it has a 23 written on in, with a dash on the number). Another good guide to get to Bran can be found here.